Brisan x6 has made the following manual changes to Brisan x6's account: teamid - Wolverhampton FC to Liverpool F.C. 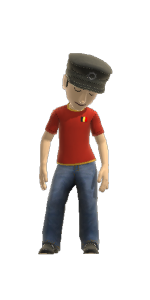 Brisan x6 has made the following manual changes to Brisan x6's account: teamid - Manchester United to Sunderland A.F.C. Brisan x6 has made the following manual changes to Brisan x6's account: teamid - Manchester City to Sunderland A.F.C. Brisan x6 has made the following manual changes to Brisan x6's account: teamid - Chelsea to Stoke City F.C. Brisan x6 has made the following manual changes to Brisan x6's account: teamid - Arsenal F.C. to Bournemouth F.C. Brisan x6 has made the following manual changes to Brisan x6's account: teamid - Stoke City F.C. to Arsenal F.C. Brisan x6 has made the following manual changes to Brisan x6's account: teamid - Manchester City to West Ham United F.C. This award goes to the player that lead the LGFA in assists at the end of the season.